It was a fire rift. Don't know if it dropped massive loots as everyone ran away. Not sure what creatures it spawned other than "Fleeing Villagers." Gotta say, I really love the graphics of this new rift. those are so painfully photoshopped. First one's pretty cool, photoshopped or not. Second one was my wallpaper for about 3 months. Hey guys might not be photoshopped might just be HDR! photo shop or not, that so very cool! There are such things as fire tornado so...... yeah those pics are pretty awesome. Google Fire Tornado for real video's and pics. lol Cho.. but I love to grind.. Last night while golfing with friends.. I repeated the same 2 foot putt for par 501 times.. My friends thought I was nuts, but I told them I'm gearing up for the next hole.. Here's another real-life example. This is a volcanic ash cloud after a Volcanic erruption in Chile. actually, either might be photoshopped but exist in real life as well. the "Fire tornado" is a well known phenomenon, and wile the "Lightning vortex" is less known (also a metric ****ton rarer) they are some of the deadiest phenomenons known to nature on earth. a erupting vulanco, spewing superheated gasses into the lower atmosphere, coupled with a conflicted pressure-field will result in in-cloud arc-lighnting. that **** is strong enough to power most of New York for a year... PER BOLT. ye. dont get to close. "We are the Red Order within the immortal Chaos. We are Shadowblade." Yea these are awesome and not photoshopped. Nature can be awesome! Not really. This actually happens at volcanoes. The static energy around a rising hot ash cloud is intense. 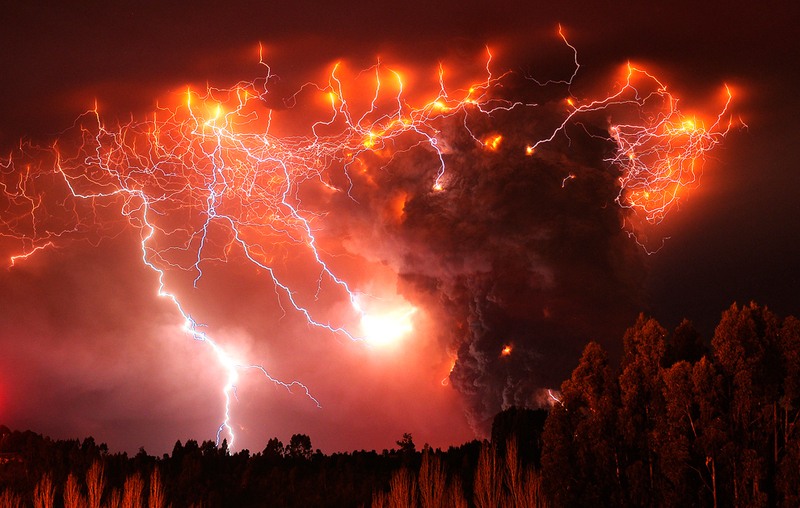 Think of the worst thunderstorm ever, spewing out of a molten hole in the ground. Sometimes, nature is really ****ing cool.